Use Insight Genesis maps on your mobile phone or e-tablet! Need another reason to buy the new giant iPhone? 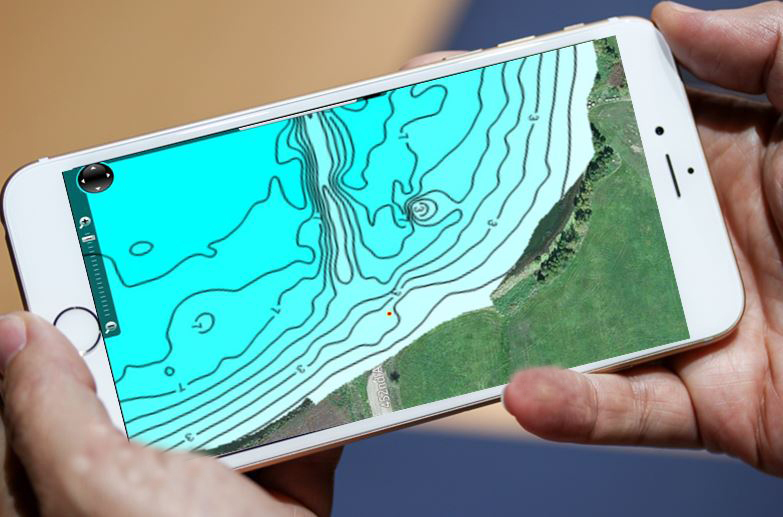 You can view your Insight Genesis custom contour maps on it! 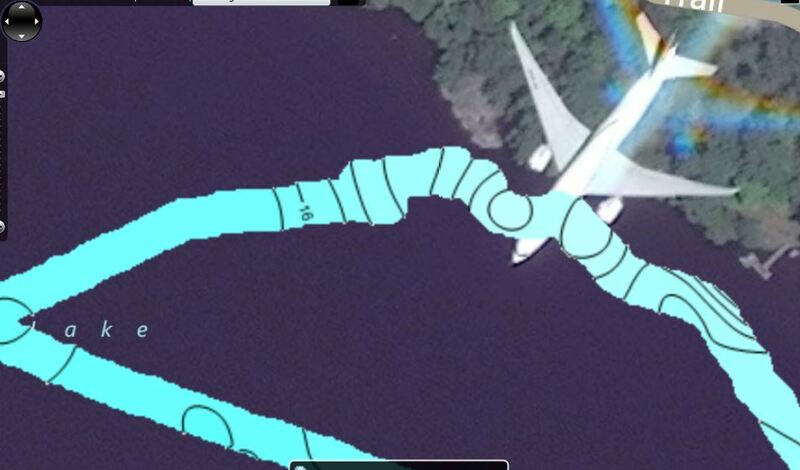 Where do you install your transducer to map a lake with an airplane? 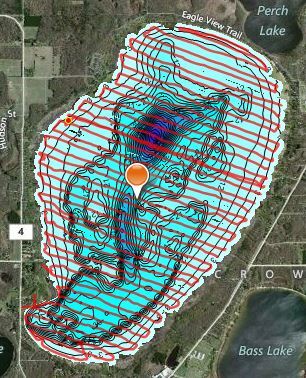 Where do you install your transducer to map a lake with an airplane? Ha! 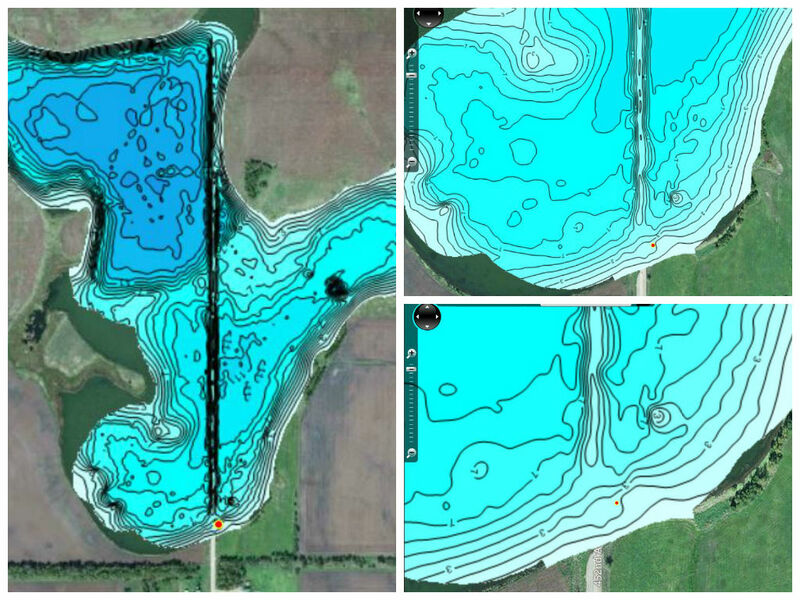 Insight Genesis is the innovative, online service that empowers anglers to create custom lake maps from sonar data recorded with the Lowrance sonar unit on their own boats* – we haven’t quite figured out a way to do it with airplanes yet! Do you fish smaller, off-the-grid lakes with bad maps — or no maps at all? Map them yourselves with Insight Genesis to find un-pressured fish-holding structure. You’ll catch more and bigger fish if you do, says small-water specialist Tim Shannon, AKA The Pond Pro. 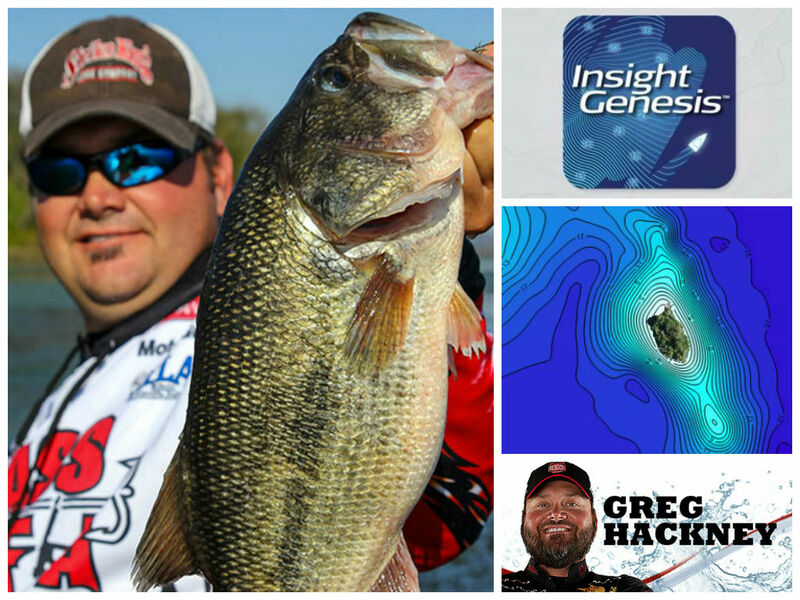 Insight Genesis is designed to help users find giants — well, giant bass, walleye, zander, muskie, salmon and other sport fish! As you get more familiar with the Genesis system you’ll be used to horsing monsters in your boat. 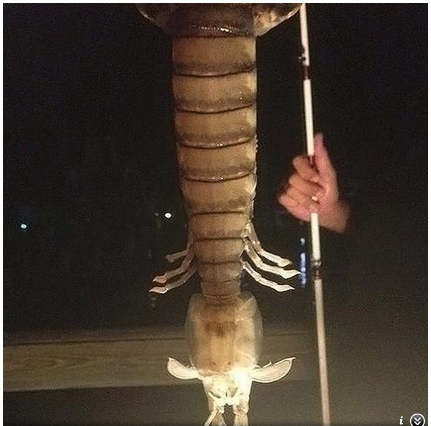 But nothing could prepare you to catch this giant shrimp, an actual shrimp captured by a fisherman named Steve Bargeron in Fort Pierce, Fla.
Post some monsters on the Insight Genesis Facebook page and we just might send a free premium Insight Genesis subscription to our favorite . 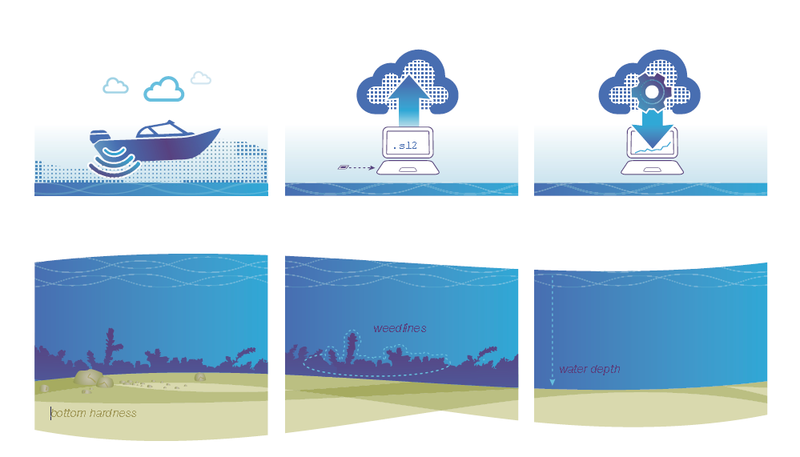 . .
You can create a custom lake map in three easy steps with Insight Genesis. Yes, it’s really that simple! Three easy steps! 1. Record sonar data with your Lowrance or Simrad multi-function unit. 2. Upload the data to your online account. 3. Log into your account and view your maps, which are created automatically. When the road makes underwater structure . . . map it! 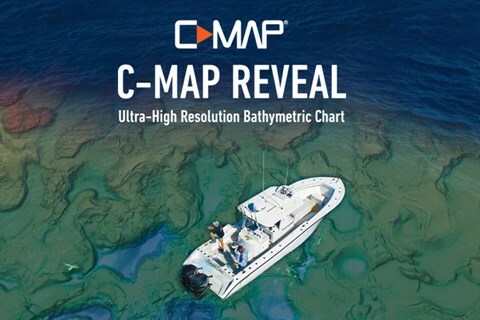 To make the best possible C-MAP Genesis* custom contour map of your favorite lake, pond, reservoir creek arm or river section, drive your boat pretty slowly, make shore-to-shore up-and-back trips spaced pretty closely together, and record small sonar logs with the correct settings dialed in on your Lowrance, Simrad or B&G GPS/chartplotter. Mapping is really based on your objectives-better maps at slower speeds and closer boat paths. Following are all the details in a handy Best Practices Guide you can print, put in a Ziploc bag, and store in your boat.